This could be a very nice freebie from LeapFrog, makers of educational toys and gifts. They are giving away FREE board books! Click here to sign up for your free board book! PleaseMum.com is topping their previous additional 15% discount that I blogged about just last Saturday! Now you can get 30% off for online purchases using their Friends and Family coupon code, on top of all their existing sales! Get an extra 30% off with code WEBFRIENDS. Valid until August 2, 2009. All orders are still SHIPPED FREE! Click here to start shopping at PleaseMum.com! Happy shopping! Thanks to Dealcetera for this alert! What's this program? Read about it in my previous post here, where I also have a list of 109 free points! Why would you want to pay for a reuseable bag when there are so many free or near free bags already? For starters, can your bag fold down to the size of a credit card? *Bonus discount: Use coupon code "tweet811" for an extra 10% off your entire purchase! RuMe bags can. They're functional, stylish, reusable bags that fold down to the size of a credit card. Just tuck them into your purse, diaper bag or tote and you'll always have an extra bag handy! The bags are manufactured responsibly (no waste philosophy and made in a fair-trade factory), and they are strong - the "Original" RuMe and the "Macro RuMe can both hold up to 50lbs, and the Mini RuMe can hold up to 30lbs. Now RuMe has come up with reusable baggies and pockets. These are are lab-tested, food safe fashionable and functional replacement for plastic baggies! Tuck in a sandwich, snacks, fruits and vegetables. Their zipper ensures a tight seal so you don't have to worry about spills. You can handwash them or place them into the dishwasher. This package will save you 10% off from buying the products individually. You can also save 40% off the Klean Kanteen (in Brown/Tree Bark) with the purchase of a RuMe On the Go package! Get the 18 oz. bottle for $13.20, and the 27 oz. bottle for $14.40. Flat rate shipping in Canada $7.50 or Free shipping for orders of $79 or more before taxes. Click here to shop this deal! This deal is only available for a limited time! GoneShopping.ca offers “must have” products and goods to enhance your lifestyle, whatever that may be. They cater to the spoiled urban shopper, who wants the best in style, quality, and convenience and at reasonable prices. They feature many products that you may have seen on TV on shows such as Chatelaine, Oprah, Chatelaine, InStyle Magazine, Modern Dog Magazine, and more. 40% Off Wooden Furniture and 15% Off Regular Priced Items: Blue Blankie - not just blankets! Blue Blankie has lots of fabulous finds for your little one! And they have much more than just blankies. You'll find unique baby clothing, shoes, diaper bags, gifts, toys, and furniture, too. They currently have a sale on all their wooden furniture - 40% off! 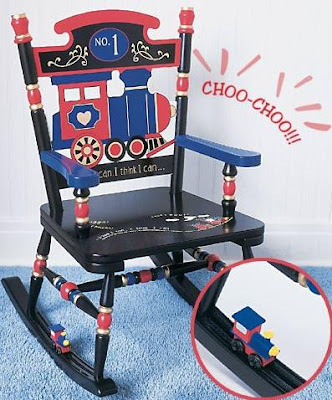 These are really unique pieces for your child's room, take a look at this Railroad Rocker with the little train! Additionally you can get 15% off all regular priced products, it's a special promotion they are doing with Blush Magazine. Just use code BLUSH15J at checkout. The code is good until October 31, 2009! Blue Blankie is the featured mompreneur in the latest Blush magazine issue. Read the feature here. Shipping is FREE in Canada when you have a purchase of $75 or more. Blue Blankie is a Canadian company based in Whitby, ON. Click here to shop at Blue Blankie! Lavish & Lime is having a midsummer sale, with up to 40% off select items! This Vancouver-based company carries eco-friendly products for daily living. You'll find unique items for baby and kids. There's also skin care, clothing, jewelry, and stuff for when you're on-the-go like totes and messenger bags. The sale is on until August 1st. Click here to shop the sale at Lavish & Lime! Boston Pizza has a yummy freebie for your kids - their meal is FREE when you purchase an adult meal! 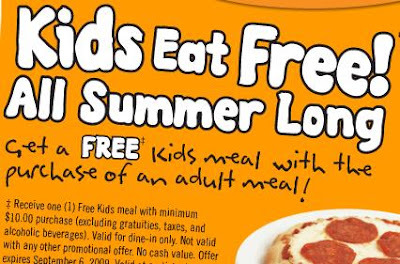 Every day this summer, you can get a FREE Kids meal with the purchase of an adult meal - minimum $10 purchase (excluding gratuities, taxes, and alcoholic beverages). Their Kids Meal looks quite yummy, you can choose from Pizza (of course), Spaghetti, Perogies, Baked Salmon, and more (selections depend on location) and each meal comes with a drink, dessert, and a fun pack! Their offer is for dine-in only, and not valid with any other promotional offer. Offer expires Sept 6, 2009. Gap, Banana Republic, and Old Navy are having another Friends & Family event for four days, beginning Friday! The "Give & Get" promotion offers friends and family 30% off when you bring in this special coupon that was emailed to me! With the Give & Get special promotion, 5% of the amount you spend at Gap, Banana Republic or Old Navy is going to be donated to their non-profit partners: Boys and Girls Club of Canada, CARE Canada and The Leukemia & Lymphoma Society of Canada. Click here to get your coupon! You can reuse this coupon as many times as you like over the four days! Print it and put it in your purse or diaper bag so you don't forget to bring it! If you've been thinking about giving cloth diapers a try but the cost has been detering you, here's a good cloth diaper deal to start off with. BebeBums is extending their Summer Sale! Until July 31 you can save $5 on BebeBum diapers - on sale for $13! 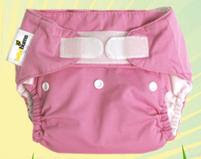 BebeBums are "pocket" style cloth diapers - there is an outer "shell" that has a pocket, and you place an insert into the pocket for the absorbency (the reason for the pocket is to make it faster to wash and dry). the Save $5 on each Bebebums diaper. Shipping starts at $10 for up to 3 diapers. BebeBums is based in Victoria, BC. Click here to start shopping for diapers at BebeBums! Today (July 28), shop at Sears.ca and save an ADDITIONAL 40%! To get this deal, just enter code 941 612 395 when you check out! Everything in the outlet is sale-priced and clearance-priced, so with an additional 40% off you can get some really good deals! Click here to start shopping at Sears.ca! GingerbreadMonkeys.com is having a one-day sale TODAY ONLY - get 24% off everything in their store, including sale items, you just need to enter a special code! To get this deal, use code 424 at checkout! The code is valid until 11:59 PM EST. There's lots of merchandise to choose from, buy for your baby or stock up for gifting! Here's a sampling of what's available. 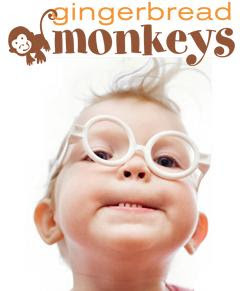 Click here to start shopping at GingerbreadMonkeys.com! Get 15% off everything at theBabyMarketPlace.com using a special code! You just need to be a bit patient to receive your order, though - the reason for the sale is that the owner, a mom-operated business, is going on a little summer break. The Baby Marketplace office and warehouse will be closed until August 4th. During this time the phones will be answered by voicemail. During this time, they ask that customers be a little patient with them and take advantage of their "I Am Patient" Sale. Use coupon code: IAmPatient to save 15% off all products, excluding bumGenius, in our store until August 3rd, 2009. Their fine print: one coupon per order; no rainchecks; no backdating of coupons; coupon not valid for e-certificates; offer excludes bumGenius products. theBabyMarketPlace.com carries a large selection of quality products, including clothes, shoes, toys (infant to toddler sizes), diapers and accessories, bathing products, feeding products, and organic skin care products. 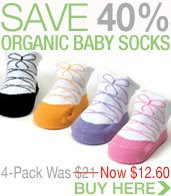 Bamboo Baby AIO Diaper Sale - Save $5 on the Bamboo Baby AIO One Size Diaper 3-packs. Use code UseBamboo. $9 flat rate shipping in Canada ($7 in the US). I just blogged about their numerous promotions a couple of days ago, along with a code for 10% off $50 purchase. Now they have come out with a 15% off promo code for online purchases, and a special in-store sale too (requires coupon). Get an extra 15% off online purchases of $75 or more with code EXTRA15WEB. Valid until August 9, 2009. One-Day VIP Treasure Hunt for $3 Items on July 25. 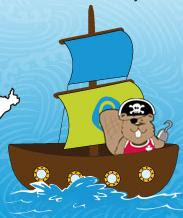 To get this deal, you have to bring in your VIP card (sign up for that in store) and print, colour and label this map of Canada - something to get your kid(s) to do! But if you don't have kids old enough to do this (like me) then I guess you're stuck colouring for deals yourself. Shipping is currently FREE on all orders to Canada and the US! So you can shop online after the malls are closed, and enjoy the sun during the day, and not at the mall! The Huggies Enjoy the Ride rewards program is a little bit different. First, you don't even need to purchase any Huggies products. And second, the rewards are all "entries" to the Huggies online contests and instant win games. I'm not a big fan of this rewards program, since the "rewards" are not guaranteed, and I find the method of entering the points on their site annoying - there are three boxes where you enter the code, and then you have to type in one of those verification keys. Having said that, I am still collecting the free points when I can and entering their contests on occasion, and keeping the majority of my points and waiting to see if they come up with better rewards in the future. Below are some free points codes that will give you a total of 9 points. You can get another 3 free points on the Enjoy the Ride Rewards site by watching their video (2 points) and taking their quicky poll (1 point). If you've never heard of the program or only recently signed up, you can read more about it and get my list of 99 free Huggies points here. This code expires on July 26, so enter it to your account now at the Pampers website! If you are new to this rewards program, here is my current list of free Pampers codes that are worth 10 points. Never heard of Gifts to Grow? It's the rewards program from Pampers. Inside each package of Pampers product, such as diapers or wipes, there is a special code that you can enter on the Pampers website. The code will give you points that are accumulated towards rewards! Currently there are not a lot of rewards to choose from - most are from Shutterfly, on online photo printing service (which I cannot find information on whether they even ship to Canada). Their available rewards are always changing - in the past they have had small toys that you can redeem the points for, I've redeemed a Melissa & Doug toy. So just hang onto your points and check back with the site on occasion to see what rewards are being offered. Friday's Hint: "Start off smelling great!" Saturday's Hint: "Ruffles and Dots"
Found the deal and want to buy more items? Use codeSAVE15CMD for an extra 15% off everything! The code is good until July 31, 2009! 40% off Aubrey Organics Baby and Kids Skincare! Free Nellie's All Natural Laundry Soda ($9.99 value) with purchase of any Cloth Diaper Kit! 40% off all Daily Tea clothing in sizes 3 months to 5 years! Trend Lab Diaper Bag Giveaway (a $50 value!). To enter, just mention Le Baby Shop and link to them (www.lebabyshop.com) on your blog, Facebook or Twitter! Ends August 3, 2009. Shipping rates start at $7.99. Click here to start shopping the Daily Tea sale! Le Baby Shop is a mompreneur-run retail store located in Pointe-Claire, QC (just outside of Montreal) that features funky, fun and eco-friendly baby and children's products for ages 0-5 years. PleaseMum.com has their back-to-school line all ready for us moms! They are having an online pre-release sale! Select summer styles on sale, stock up for next year! Best of all, shipping is currently FREE on all orders to Canada and the US! So you can shop online after the malls are closed, and enjoy the sun during the day, and not at the mall! Narcissist Design Co. in Vancouver contacted me with some very interesting information about their dresses: many of their modern dress designs are very popular for maternity and nursing moms! Their most well-known dress design, named "Pamela", is a convertible and breast-feeding friendly dress for moms and moms-to-be. This multi-wear dress stretches an incredible amount and can be worn more than 10 different ways (see video), is easy to care for, travel-friendly and wrinkle-free. Narcissist says that they have customers and staff alike that have worn it throughout their pregnancies and still wear it today. The Vancouver Narcissist boutique is having a big sale this weekend, from July 24-27. Dresses will be on sale from as low as $29 and none will be over $99. The boutique is located at 3659 Main Street, at 21st Avenue. Save an $10 off your purchase - all you have to do is bring a friend and you'll each save an extra $10! Be the 50th, 100th or 150th customer on any given sale day and you could pay nothing for your items at checkout! Don't live in Vancouver? Their designs can be purchased online at www.Narcissist.com. Shipping starts at $6. Narcissist designs are also available at locations across Canada. Watch for their Fall dresses online coming the first week of August! Le Baby Shop has a secret "1 Cent" item on sale! Catch is, you have to find it! They do provide a hint: "It will make quite a splash!" What is Swag Bucks? If you read my Swag Bucks post from last week, you'll know that I think it's the easiest, most effortless online rewards program out there. In 30 days I earned enough reward "Bucks" to get a $5 Amazon.ca gift card! Read more about it here. If you were meaning to sign up but hadn't yet, well now is definitely a good time to sign up because new sign ups can get 5 FREE Bucks with code NEWBIE! The code is only good until this Friday, July 24, 2009. You should still get the standard 3 Swag Bucks for signing up - so you would start out at the gate with 8 Swag Bucks! If you are already a Swag Bucks user, please let us know your experiences, tips, and tricks! 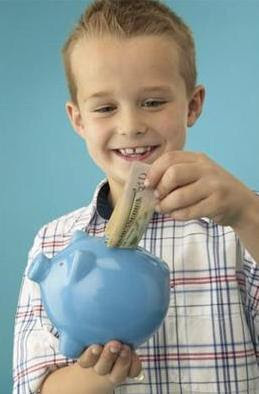 ING Bank of Canada (ING Direct) has introduced a Children's Savings Account. As an introductory special, if you open a Children's Savings Account with $100 or more by September 30, 2009, you get a $25 Bonus! This freebie bonus is super quick and easy to get if you are already an ING Direct customer - I think it only took me 5 minutes to sign up. The whole thing is paperless - you just need your child's SIN and an ID document number (e.g. birth certificate number, passport number). The child will get their own Client Number and PIN, just like grown ups. They can transfer funds into their own account, view their transaction history and manage their own money under your watchful eye. And best of all... they can see their money grow! If you don't have an ING Direct account, it's easy to sign up online (please use my "Orange Code" 13809409S1 when you sign up, so that they know I refered you! ), and then all you need to do is mail them a cheque from one of your other financial institutions to link up your ING account with it, so that you can easily transfer money to your new account. Aside from the Children's Savings Account promotion, they currently have a great 3% interest rate on their Tax-Free Savings Accounts until October 1, 2009. If you want to see how this compares to other high interest Canadian banks, click here. To learn more about the ING Direct Children's Savings Account, click here. To learn more about opening an ING Direct Account, click here. If your tot(s) is going into daycare or kindergarten (or older ones going back to school!) you'll quickly discover how easy it is for baby's clothes, shoes, bags, and lunch gear to get mixed up with all the other kids' stuff. Make it easier for the caretakers to help identify your tot's stuff with pre-printed labels from Mabel's Labels! 50 Tag-Mates - Peel and stick to clothing care tags - no ironing or sewing required! Tag-Mates are designed to withstand washing, drying, and wear-and-tear. Use them on clothing, jackets and uniforms. 40 Skinny-Minis - Perfect for school supplies, dishes, small toys and more. 16 Shoe Labels - Extra tough and extra sticky. They will not rub off on socks or fall off when shoes get wet because of a protective overlay, designed to ensure durability. They fit nicely on the insole of shoes, boots, skates and other footwear. 2 NEW Teeny Tags - A new offering from Mabel's Labels: clever metal tags designed to hang off backpacks, lunch bags, pencil cases and more. All labels are dishwasher/microwave-safe and UV resistant. Clothing labels are laundry safe. The name on the labels can be whatever you like to a maximum of 20 characters. Names are printed exactly as you type them. All these labels - that's 98 personalised pieces - for $39! Works out to about 40 cents a label. And shipping is FREE in Canada, $3 to ship to the US. Order the original and best back-to-school combo - it was designed by moms like YOU! This limited-time combo pack is available until September 25, 2009. Ah, summer! Doesn't the sun feel great - oh, except for that now you can't stay out without first slathering on some sunscreen! I want my baby to be able to play outside as I did. But with ozone depletion and sun damage a real worry these days, choosing garments with UV protection is something to seriously consider. UV rays can penetrate through light clothing - if you can see through the clothes, so can the UV rays. The tighter the weave, the better the sun protection. Read more about sun protection from the Canadian Cancer Society or the American Cancer Society. 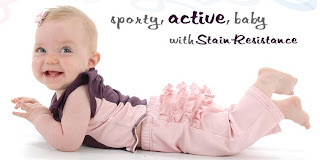 Agoo Clothes for Active Kids can give your babies that extra protection. With a strong UV protected finish of UPF 50, no matter how many times you wash it or expose it to sunlight or saltwater, the protection is always there. 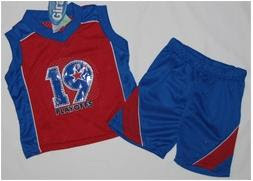 Their entire clothing complete line has UV protection, for infants to kids size 14, so your kids to stay out and play a little longer. 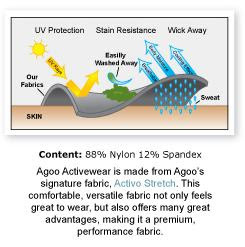 Agoo clothing also supports energy and resource conservation by using 30% recycled polyester blends, and bamboo, which is considered an eco-friendly product due to it being a renewable resource which is biodegradable. Stay out and play with Agoo - use code "agootots" at checkout to get a 20% discount! Shipping is only $5, and purchases of $50 or more are shipped FREE in Canada and the US! Another great sale! Get an EXTRA 30% off sale items at theBabyMarketPlace.com with code EXTRA30! Eco Bebe Boutique has a clearance sale on, with lots of cloth diaper deals to choose from: Drybees, Staccinator covers, Happy Heinies, Mother of Eden. A Belle Baby Carrier in Organic Sand is on sale for $67.99 (reg. $114.95). I have this exact style carrier, it's comfortable and stylish! Also on sale are Nurture Baby Bottles, and baby lotions by Dimpleskins, and Happy Mama. Shipping is a flat rate of $6.95 (CDN) per order for shipping to Canada and $7.95 for orders shipped to the US. Free shipping in Canada for orders of $150.00 (CDN) or more. There are more items too... click here to check out the entire sale! GingerbreadMonkeys.com is having a summer sale, with 50-70% off items in their SALE section! One of the great deals in this clearance are all the Green to Grow bottles! You can pick up the 5oz bottle for $2.85 (reg. $9.50), the 10 oz bottle is $3.60 (reg. $12)! Get an additional 10% off with code extra10! 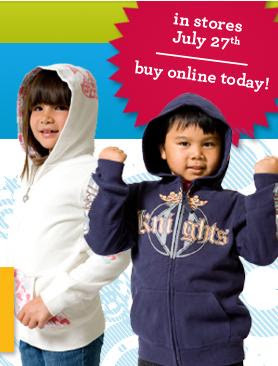 Brand name kids' clothing e-tailer Growing Growing Gone is having their Summer Clearance Sale! Their entire inventory is discounted from 40-70% off! This Canadian online store sells new discounted brand name clothing in sizes infant to teen. Brand names you can expect to find include The Children's Place, GAP, MEXX, OshKosh, Carter's, Calvin Klein, Liz Claiborne, and more! You can get onesies or shorts starting from less that $4, or two-piece sets like the tank top and shorts shown for $3 !! At these prices, buy lots of outfits - then you'll be able to offset the cost of shipping. Of course, I always say that you are saving on gas and any parking fees, anyway! Shipping is flat $13 fee to anywhere in Canada, $20 to anywhere in the continental US and free local pickup is available in the Whitby, Ontario area. Is doing online searches something you do often, if not daily? Did you know that you can be earning freebies by doing that? At minimum, you'll likely earn $60 a year in merchandise! Keep reading to learn how! By joining Swag Bucks, you can earn "Swag Buck dollars" which can be redeemed for merchandise, gift cards, and more, just by doing something that you already do probably every day - doing online searches. You sign up for Swag Bucks at Swagbucks.com. Make the Swag Bucks Search page your default search page; or, you can download a Toolbar Plugin (works for Explorer, Firefox, Safari, or Opera). Whenever you search for something online, you use the Swag Bucks search page to type in your search. As you do online searches through the day, you'll see messages from Swag Bucks informing you that you've earned Swag Bucks. What can you redeem Swag Bucks for? 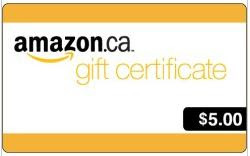 The Amazon.ca $5 e-gift certificate for 45 Swag Bucks is the most popular with Canadians (this is, of course, a US site with many US retailer certificates that Canadians cannot use). A Starbucks $10 Gift Card will cost you 130 Swag Bucks. A PayPal $5 Cash deposit into your PayPal account costs 190 Swagbucks (although it's currently "on sale" for 70 Swag Bucks). For 1 to 50 Swag Bucks you can get trading cards, stickers, MP3 downloads, keychains, comics, and entries into sweepstakes. (Note, they have iTune downloads, but unfortunately it's not available for Canada). Prize categories include Airline Miles, For the Kids, Apparel and Accessories, Electronics, and a whole lot more! You can earn FREE Swag Buck dollars with "Swag Codes". Swag Codes can appear on Swagbucks.com, any Swag Bucks powered Search&Win Site, the Official Swag Bucks Facebook, Twitter, YouTube and Flickr pages; the Swag Bucks Blog and newsletter; any affiliated partner site. You can earn FREE Swag Buck dollars by referring a friend. When you refer a friend and they sign up with the link you send them within 48 hours, you are awarded matching Swag Bucks for the Bucks they win while searching, up to a total of 100 Swag Bucks. You can earn FREE Swag Buck dollars by promoting Swag Bucks on your website, social profile, blog, or email signature. They have all sorts of links, banners and widgets to have you help promote them, which helps you earn more Bucks! You can also earn FREE Swag Buck dollars with their "Go Green" program, where you send in your old cell phones, MP3 players, and video games and consoles for recycling. However, I have no idea if this works for Canadians, as I've not tried it out. If it works, it looks like you can score double-digit Bucks with this. Earn $60 a year, no extra effort! So what are you waiting for? Sign up now - and please use my link to help me earn Swag Bucks, too! It costs you nothing extra to sign up through my link: http://swagbucks.com/refer/Luluvan. You'll receive 3 Swag Bucks when you sign up. When choosing a Swag Bucks user name, try to make one that's easy to remember so that your referral link is easy to use. My user name is Luluvan - simple. Once you are signed up, start the earning process right away by setting the Swag Bucks search page as your default search page by making it your home page. Or, set up one of their toolbars, which is what I do. I use multiple browsers and multiple computers, and I have it set up on every one of those browsers on the different computers. By the way, the Swag Bucks search uses Google and Ask Jeeves as the search engine. I've found that the quality of the search results have not suffered (I previously used Google). You won't earn any Bucks on your first search, it takes about 3-5 searchs for it to earn the first few Bucks. BebeBums.com is having a "Super Summer" clearance sale on their cloth diapers: $13 a diaper! Regular price of their diapers is $18. BebeBums diapers are one-size pocket diapers, made to fit babies from 8-30 lbs. BebeBums is a Canadian company based in Victoria, BC. Shipping starts at $10 for up to three diapers. The sale is on from July 15-20, 2009. Congratulations to Emily, the winner of my AllModern.com giveaway contest! Emily is lucky number 13, which is the random number that was drawn through Random.org. Emily blogs about giveaways and her personal life at http://emilyisland.blogspot.com. 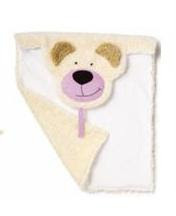 For her prize, Emily picked the Olli Olbot - Changing Mat Bear in Pink or Blue: Super cute! The adorable bear face serves as a pillow. Leak proof and folds easily to fit into your diaper bag. Flip the mat over and use it as a super cuddly soft play mat. Thanks to all the readers that entered my giveaway contest! Thanks so much to my giveaway sponsor, AllModern.com. Find hundreds of quality name baby and Mom furniture, bedding, baby gear, strollers, toys, and a fantastic selection of modern furniture, home accessories, lighting and more from brands like DwellStudio, Stokke, Knoll, Blu Dot!) Currently you can get up to 50% off select items, and FREE shipping off orders of US$69 or more! TheBabyMarketPlace.com is having a BOGO (buy one, get one free) sale on Bical Grippers this weekend! To get this deal, use code BOGO-BICAL at checkout! 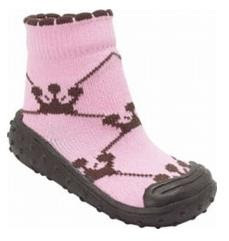 Bicals are shoes for toddlers that combine the comfort of a sock with the support of a shoe. It has a non-slip rubber sole, and baby can wear these without socks - less fuss for you both! Have you entered my my giveaway? I personally picked the items below for the giveaway. I hope you like my choices - they are all items that I would love to have for my child. Click here to see the entire post and on how to enter the giveaway, and how you can easily submit multiple entries! Contest closes tonight (July 10) at midnight, Pacific time! Open to Canadian and US residents. Good luck everyone! AllModern.com offers hundreds of quality name baby and Mom furniture, bedding, baby gear, strollers, toys, and more. (They also off a fantastic selection of modern furniture, home accessories, lighting and more from brands like DwellStudio, Stokke, Knoll, Blu Dot!) 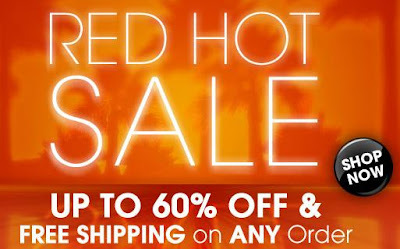 Currently you can get up to 50% off select items, and FREE shipping off orders of US$69 or more! Are you a cloth diapering mama? Wouldn't it be great if, as an environmentally-conscious cloth diapering member of society, the government would recognize our contribution on protecting the environment, and give us a tax break for doing that? Stephanie Nash thought so. Owner of For Baby With Love, an online baby boutique specializing in cloth diapers, Stephanie has started an online petition to give families a tax break for using cloth diapers. 3000-5000 diapers are used in the first two years of a baby's life - that's a lot of diapers going into our landfills, not to mention the untreated waste in the diapers contaminating our mother earth. So if you've already made the decision to cloth diaper, good for you! If not, here is a list of reasons from For Baby With Love on why you might want to use cloth diapers. I personally do use cloth diapers. I also supplement with disposables as required. I figure, I will do what I can, and if cloth diapering 75% of the time is what I can do, that's 75% less of my baby's diapers going into the landfill. A note for fashionable mommies - cloth diapers look very cute on baby's bum! If you think you want to try cloth diapering but don't know where to start, here's an article on getting started with cloth diapers. If you live in the Toronto area, For Baby With Love also holds workshops on cloth diapering. In Vancouver, you can attend workshops by New & Green Baby Company. Click here to go to the online petition. Sign the petition to show your support - dads, grandparents, friends, anyone can sign to support the petition! Diaper Pin (this is a US site, but is a great resource for diaper reviews). “Never a chemical. Never a worry.” is the Dimpleskins Naturals promise. Their BUM BUM BALM for diaper rash ($12) is a PTPA (Parent Tested Parent Approved) award winner. It's 100% natural, it is fragrance, mineral oil, and zinc oxide-free! BUM BUM BALM is a must-try for the eco-conscious Mom. You can purchase Dimpleskins Naturals products such as the Bum Bum Balm at many major retailers across Canada, but they also have their own online store! From their online store you can buy products such as BOO BOO GOO for cuts and scrapes, CRADLE ME scalp rub, or a Baby Bundle Gift Set that has trial sizes of Sweet Cheeks, Bum Bum Balm, Cradle Me, and a full size tube of Kiss Me Baby Lip Balm (great baby shower gift!). You can also purchase natural and organic accessories, such as Natursutten natural rubber pacifiers. The store currently has a free shipping special, just use code FREESHIP with a $40 purchase! This special is only on for a limited time (no date mentioned). Click here to start shopping at Dimpleskins Naturals! This Saturday and Sunday (July 11-12) when you shop at Shoppers Drug Mart and spend $50, you can get a $10 coupon! 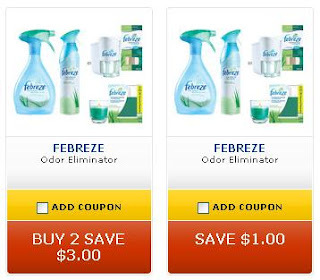 The last time Shoppers had this deal, I found that you can use your coupon the same day (but not the same transaction), so if you end up adding lots of stuff to your shopping basket, make sure you buy only $50 first so that you can use your $10 the same day. There is an expiry date on these coupons and the last coupon I got, it ended up expired by the time I got around to using it :(. Click here to view all the fine print on the deal from the Shoppers Drug Mart website. Personalised items always make such wonderful, special gifts. 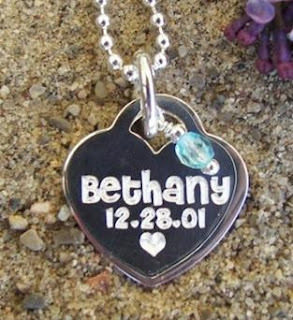 Charming Mommy crafts quality jewelry that you can personalise with names and birth dates for babies, kids, moms, dads, or any special person in your life! Sterling silver name bracelets, dog tag and family pendants and even awareness jewellery. Some items, such as the Sterling Heart Pendant Necklace for Mom, has a birth stone dangle included for free! Jewellery with sentiment never looked so good! You can enjoy a special 10% discount off the purchase of any sterling silver personalized pendant necklace from Charming Mommy! Just use the code "MOMDEAL10" at checkout. Shipping rates start at $5.97. Code expires on August 15, 2009. Jewelry with a cause. Charming Mommy proudly donates 10% of sales to three autism charities. The cause has personal relevance to owner Kim, who has two children with autism. It was just a couple of days ago that I blogged about the Simplicity cribs and Aqua-Leisure Inflatable Baby Float recalls... now another major one. The U.S. Consumer Product Safety Commission release has a complete list and photographs of the models recalled. The hazard: "The play yard’s side rail can fail to latch properly and when a child pushes against the rail it can unlatch unexpectedly, posing a fall hazard to children." Please share this with your mommy friends and keep all our little ones safe! Here are a couple of recalls all moms should be aware of. Please share this with your mommy friends and keep all our little ones safe! These links are to the recall releases published by the U.S. Consumer Product Safety Commission. At the time of this writing, I could not find any official recall information from Health Canada. Simplicity Drop Side Cribs - Risk of Death from Suffocation. There has been one death reported. "The crib’s plastic hardware can break or deform, causing the drop side to detach. When the drop side detaches, it creates space between the drop side and the crib mattress. Infants and toddlers can roll into this space and become entrapped which can lead to suffocation." Aqua-Leisure Industries Inflatable Baby Floats - Drowning Hazard. There are 15 different styles of floats, please see the link for photos. "The leg straps in the seat of the float can tear, causing children to unexpectedly fall into or under the water, posing a risk of drowning." Rocky Mountain Kid carries quality outdoor active infant and kids' wear, from infant sizes to size 8. Based in Alberta, their products include not only tops and bottoms, but also outerwear, swimwear with built-in diapers and UPF +50, accessories such as hats and sunglasses, and body care products (lotions, etc.). 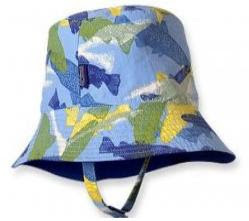 Brands include Patagonia (the photo is a Patagonia hat), Hatley, Milkshax, i play, Merrell, and more! You can get 25% off all their products using code summer25! The code is good until midnight July 9, 2009. Shipping is a flat $6.99 for purchases under $150, and if it's over $150, it's free! Have you signed up for SavvyMom.ca? SavvyMom.ca has news about shopping, eating, family, green living, and more for mommies in Canada, and if you sign up for their newsletter they will send you codes for special deals, too! Here's their savvy specials this month! Stella & Dot - Stylish, trendy, quality jewelry. Get a free symbol charm (value $18) with any order over $100. Use code savvymom. Expires Sept. 15, 2009. WishBedding.com - Playful and chic children's bedding. Enter code wishsavvy25 with the purchase of the Farmyard or Wardrobe duvet set for 25% off the matching sheets. Expires Sept. 1, 2009. Sleep Huggers - Canadian-made cozy sleepers in trendy colours. Enter code savvy10 for 10% off. Expires July 31, 2009. Gretchen & Co. - For moms who crave European designer clothing, you can find them at this Canadian online store. Get 40% off with code Summer40 until July 31, 2009. Simply Colors - Personalized clothes for newborns to age 8. Get a free beach bag with $60 purchase, and get 10% off using this link here and enter code savvy. Expires August 1, 2009.